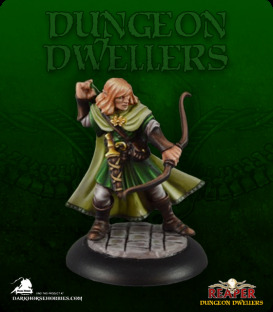 Lanaerel Grayleaf, elf ranger, hails from the woodlands of Emrith Loras, a worthy adventurer for any party seeking riches in the wild, the city or the dungeons below. Dungeon Dwellers by Reaper Miniatures is a premier 25mm Heroic Scale fantasy figure line reminiscent of the old-school days of fantasy miniatures, only with a modern look. 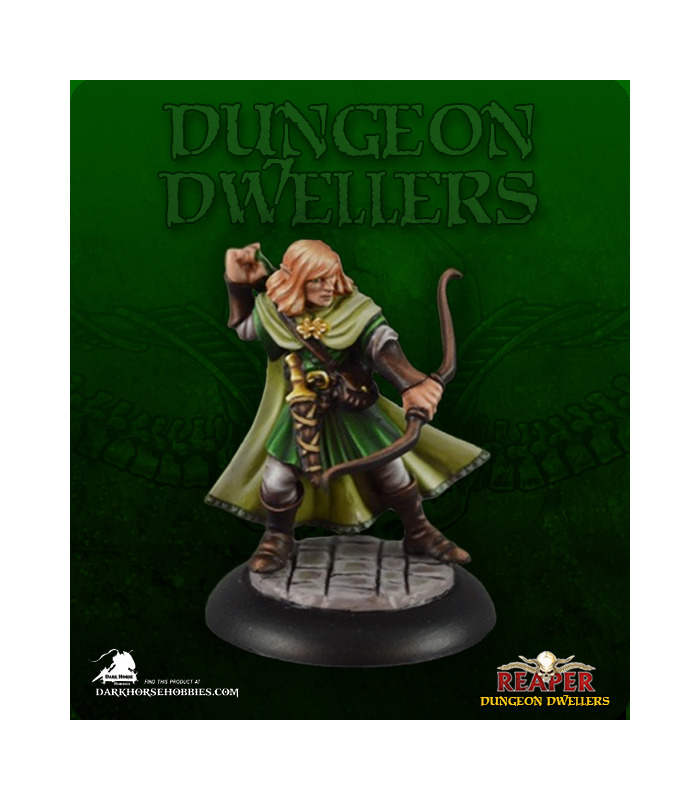 The line is best suited for RPG or roleplayers, but collectors, miniature painters and wargamers alike will find the figures appealing. Designed and crafted by the top miniatures sculptors in the world, these miniatures are gracing the shelves of collectors, dungeon masters and player cases, and tabletop armies of hobbyists all over the world.